But for the spark of entrepreneurship in her, Shikha Rani would have ended up like millions of rural Indian women who toil from dawn to dusk just to make ends meet; Shikha instead runs a successful micro enterprise today. Starting with a small band of women in 2005, Shikha has now graduated to managing 15 Self Help Groups (SHGs) of about 150 women organised to roll and market incense sticks. Shikha’s life changed when a community development officer from the Tripura Bamboo and Cane Development Centre (TRIBAC) visited her village in Melaghar Block, West Tripura, in 2004. Life is difficult for many in Tripura – geographical isolation, difficult terrain, slow development of infrastructure, lack of major industries, shrinking land availability, falling agricultural activity, high rural poverty, low representation of women in the workforce – all these factors combine to significantly lower livelihood opportunities and perpetuate poverty there. 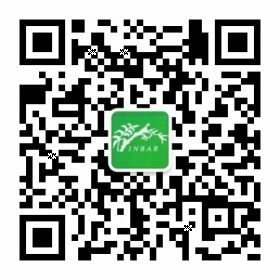 TRIBAC, the community-based organisation INBAR helped establish to support its Action Research Site in Tripura, was motivating and organizing villagers into producer groups to work with bamboo to create sustainable livelihoods in rural areas. Her leadership qualities and enthusiasm helped her become the Field Coordinator for Melaghar Block community. and TRIBAC provided training to her and others in incense stick-making, bamboo-based product development and community organizing. In 2005, Shikha married and moved to Jirania, her husband’s village close to Agartala, the capital of Tripura. As one of the better educated among the women, she aspired to better things in life. Enabled by the training she’d received, she set up an SHG and trained 10 women on rolling incense sticks. The women could do the work during their spare time and from their home. As her husband had received training in preparing the mixture that is rolled on to incense sticks, Shikha persuaded him to join her to start a business. The couple took loans from the district cooperative bank and a nationalized bank and set up an incense stick production unit. Her family was very supportive of her initiatives, and before long she had an incense sticks business involving about 150 women. 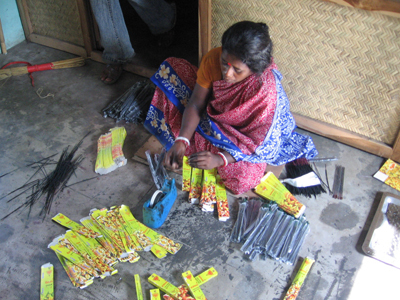 Some of the incense sticks produced are sold to TRIBAC, and she has recently started selling to a major player in Tripura’s incense industry, for further processing (scenting, packaging and branding) and marketing. Shikha has now moved into scenting, packaging and selling rolled sticks under the brand name ” Sukanta” for the local market. Her enterprise returns about $100 a month in clear profits, while each woman associated with the enterprise earns between $15 and $25 per month, working 4-6 hours a day. While the enterprise is benefiting many women locally, the acute competition among such small enterprises is making it hard for it to sustain. Without easier access to available raw materials and financial services, it would be hard for small enterprises to sustain, Shikha says. The initiative has helped women earn cash income, productively employing their spare time. As Shikha says, “The earnings made by women help them be independent. They do not have to ask for money any longer, and their men have started to realize the need for these extra earnings the women bring in! Women’s roles in household decision-making is improving with their economic independence and their representation in village level decision-making bodies is evident. As an example, Shikha explained that the women in a nearby village have called for a meeting of the local government body to set up a tube well for clean drinking water. This initiative that INBAR and TRIBAC started to generate sustainable income in rural areas, where no such avenues were available, is both socially empowering women and helping them have a greater say in household and local economics. Women entrepreneurs like Shikha Rani have not only carved a better life for themselves, but have also helped other women along the pathway out of poverty.